Outside London behind a stone wall stands Lake House, a private asylum for genteel women of a delicate nature. In the winter of 1859, recently-married Anna Palmer becomes its newest arrival, tricked by her husband into leaving home, incarcerated against her will and declared hysterical and unhinged. With no doubts as to her sanity, Anna is convinced that she will be released as soon as she can tell her story. 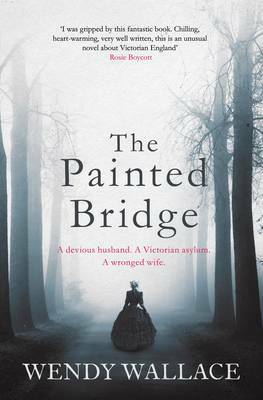 Set in Victorian England, as superstitions collide with a new psychological understanding, this elegant, emotionally suspenseful debut novel is a tale of self-discovery, secrets, and a search for the truth in a world where the line between madness and sanity seems perilously fine.